"A progressive apostolic church with a traditional flavor for the serious minded believer"
Thank you for taking the time to visit us. We pray that this website will be a blessing to you. 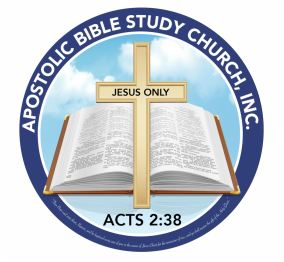 We update our website frequently so please stop by often.The Apostolic Bible Study Church is located in Baltimore City, Maryland at the intersection of Garrison Boulevard and Alto Road. You are always invited to join us in our worship services. If you are relocating to this community or looking for a church home, we extend to you a hearty invitation to be a part of this assembly. To establish and maintain a house of prayer and worship in our community, city, state and as far as our realm of influence may reach, that men, women and children from all walks of life, nationalities and colors can find peace with God through an intimate relationship with our Lord Jesus Christ, by the traditional means of preaching of the word of God in its fullness, teaching of the Apostolic Doctrine with passion, the practice of a Holy and Sanctified Biblically based lifestyle with conviction and the fellowship of the saints through the love of God.